The LAT reports on the lightning speed with which the Senate Armed Forces Committee confirmed the appointment of Gen. David Petraeus as commander of US troops in Afghanistan. The full senate votes on Wednesday. 1. Does the counter-insurgency strategy require an Afghan partner? 2. Is Hamid Karzai that partner? 3. If he is not, is the US nevertheless stuck with him and his cronies? Maybe they were just grateful that someone was taking the Afghanistan quagmire on and did not want to inquire too closely into it all. 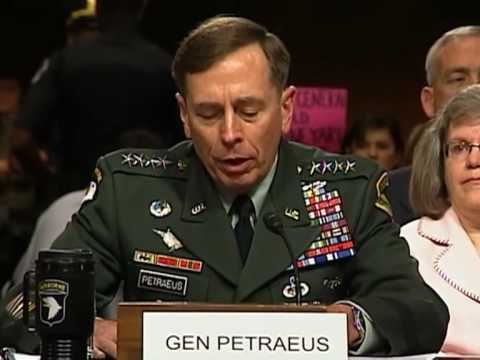 And Aljazeera English reports that Petraeus showed willingness at the hearing to reconsider the rules of engagement instituted by Gen. Stanley McChrystal in hopes of cutting down on casualties among innocent civilians in Afghanistan. But while the rules of engagement may have been interpreted overly strictly by local sergeants, they are intrinsically a good idea. One has little sympathy with the US soldier who told Rolling Stone he was angry because the ROE kept him from ‘getting my gun on.’ John McCain still doesn’t realize we lost in Vietnam (for all the world like one of those Japanese holdouts in the jungles of the Philippines who only heard of VJ Day thirty years after the fact). He harassed Petraeus about whether the Pentagon asked for troops to be withdrawn starting July of 2011. Sen. Carl Levin (D-MI) replied to McCain that a deadline for the beginning of a withdrawal is necessary to keep the Afghan government from just coasting. Meanwhile, Taliban suicide bombers allegedly attacked the airport at the eastern Pashtun city of Jalalabad. In other news, , a rumor that Western troops using dogs conducted a search of a Muslim seminary on the outskirts of Kabul sparked rioting and violence. Dogs are considered unclean by many Muslims. The rumor of foreign involvement is denied by US and Afghanistan authorities, who say only Afghanistan police were involved. And, finally, heavy fighting continued between US troops and Taliban in the Marawara district of Kunar Province. On the first day of the battle, Sunday, 3 NATO troops were killed, including 2 Americans. Rioting seminarians who believe in urban legends, major battles in rural Pashtun regions, and a provincial airport bombed. That’s just one morning’s headlines. It is par for the course. Petraeus will need all his consideraable skills just to tread water in this graveyard of empires.